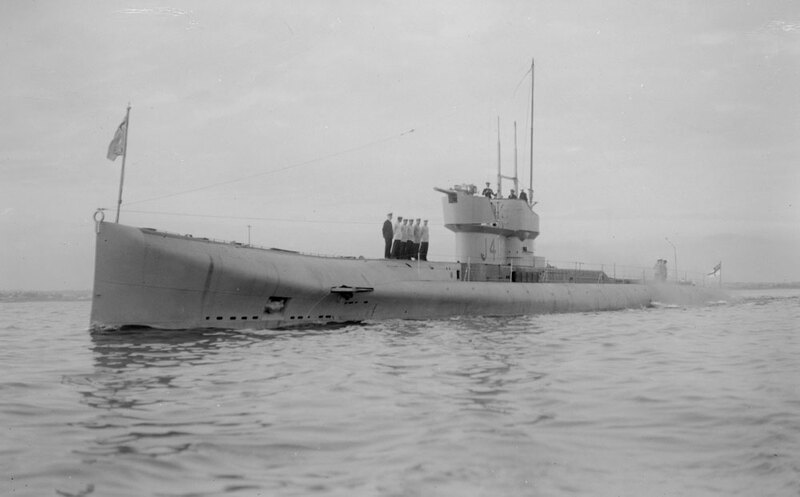 When they were built in 1917, the seven J class submarines were the fastest in the world with a surface speed of 19 knots and a submerged speed of 10 knots. The J6 was lost during WW1, and the remaining six submarines were gifted from the British government to the Royal Australian Navy in 1919. In 1924 the J1, J2, J4 and J5 submarines were sold to a salvage company that stripped them of valuable materials and then scuttled them outside of The Heads in 1926. The J3 was sunk at Swan Island for use as both a jetty, and a power source for the military base. 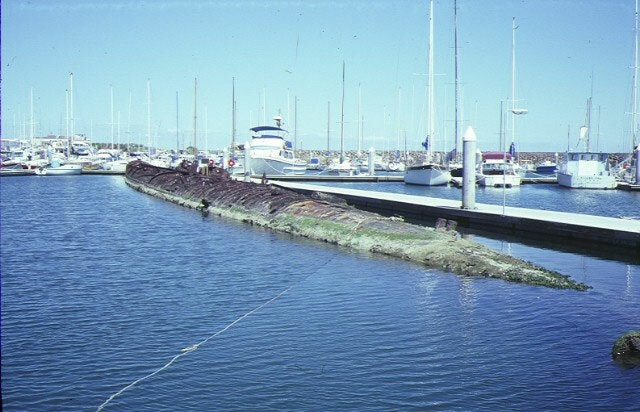 The J7 was sunk as a breakwater at the Sandringham Yacht Club. The J1 Submarine (aka Deep Sub, J1 Sub, 38 Metre Sub, 125 Foot Sub, or New Deep Sub) is part of our very own piece of WWI maritime history and an exciting deep adventure for scuba divers. Scuttled in 1926, she was rediscovered in October 1984 by MAAV members Frank Derksen, Marteen Vanetie and another diver. The wreck of the J1 Submarine is located in the ship graveyard, Bass Strait. 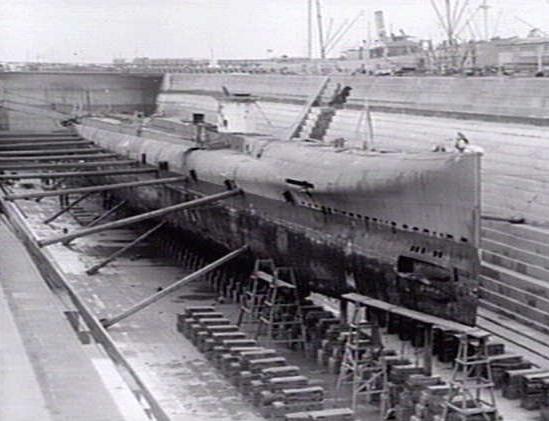 The hull lies almost upright with a slight list to port (left) in 38 metres (125 feet) with the conning tower rising to 34 metres (112 feet). She lies northeast to southwest (bow northeast) and is covered in bright yellow zoanthids with a lot of fish life up the top and around the conning tower. The J1 submarine allows penetration by divers, and there is plenty to explore on the inside. The hatch next to the conning tower is the way in for suitably qualified divers. The J1 sub sits on an angle so it can be confusing if you silt the place up and are trying to get out. People have died here! The first compartment is reasonably open and light still gets through. Towards the bow it gets pretty dark, so a powerful torch is required. This dive site is subject to shipping, and a Deep 40m certification is required. J1 Submarine Wreck from Alan Beckhurst on Vimeo. Originally HMS J1, later HMAS J1, this is one of the J class submarines designed and built during WW1 by the British Royal Navy. HMS J1 commissioned in the Royal Navy on 15 March 1916. The wartime complement was 5 officers and 40 sailors. The six British built J class submarines had served for a short time with the Royal Navy's 11th Submarine Flotilla, and although they proved to be the fastest submarines of their time, they were unreliable. 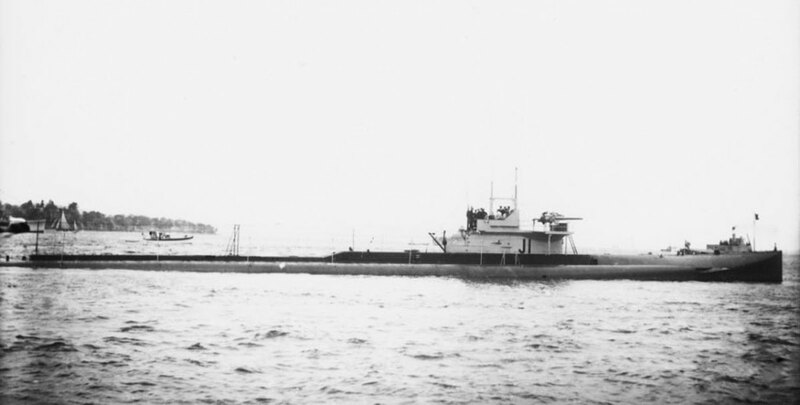 The J1 submarine was the only submarine to have crippled capital ships with a single salvo. She was also fitted with depth charges and was the only submarine to ever sink another sub with depth charges. 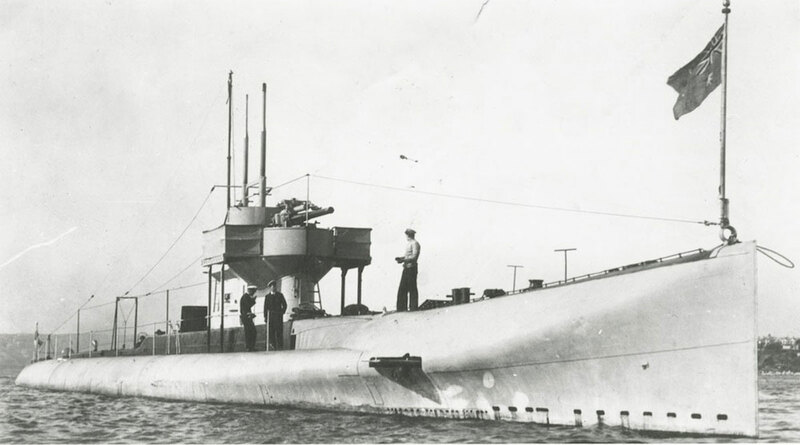 At the completion of the first World War in 1919, the British Government gave Australia a gift of the remaining six J class submarines, pus six navy destroyers. All the submarines were commissioned into the Royal Australian Navy at Portsmouth on 25 March 1919. The six submarines departed Portsmouth on 9 April 1919, arriving in Sydney on 10 July 1919 where they underwent a very necessary refit. 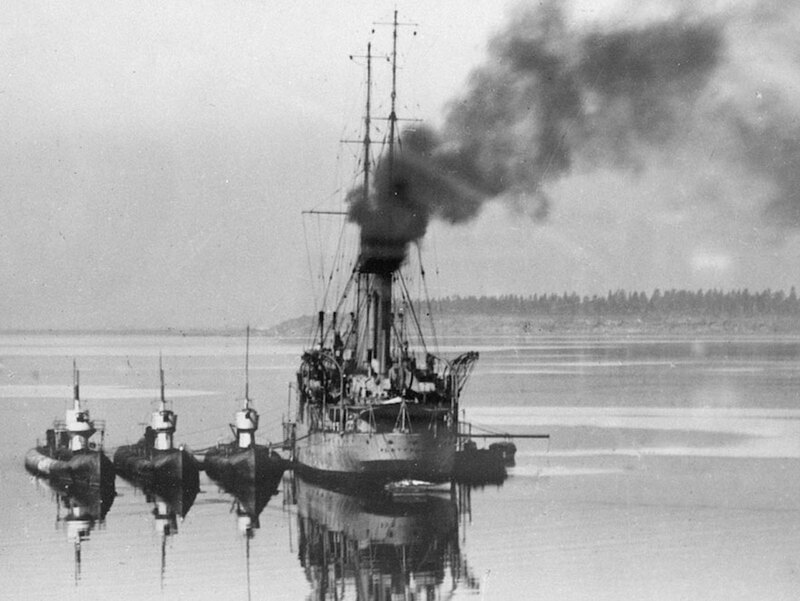 After uneventful service in Australia, little of which was spent at sea, J1 and her five sisters were paid off into Reserve at Westernport on 12 July 1922. The boats had become victims of the worsening economic conditions of the time, coupled with their high cost of maintenance. J1 was sold to the Melbourne Salvage Company on 26th February 1924. After stripping anything that proved valuable, she was scuttled off Barwon Heads on 26th May 1926. Built at the Portsmouth Naval Dockyard, England and launched on 6 November 1915 as a double hulled type, triple screw submarine. The overall length of the vessel was approximately 83.7 metres (275 feet), beam 7.2 metres (24 feet) and draught 4.3 metres (14 feet) giving a displacement weight of 1,210 tonne (1,334 short tons) surfaced and 1,820 tonne (2,006 short tons) submerged. Top speed was 19 knots (35 km/h; 22 mph) on the surface, and 9.5 knots (17.6 km/h; 10.9 mph) underwater. Range was 4,000 nautical miles (7,400 km; 4,600 mi) at 12 knots (22 km/h; 14 mph). Propulsion was via three 12 cylinder Vickers, solid injection, direct reversing, 4 cycle diesel engines, 1200 HP at 380 RPM, while surfaced. Two Mather and Platt, 1400 HP electric motors powered by four banks of 58 cell batteries, when submerged. The J1 submarine was armed with one 4-inch deck gun, plus six 18 inch (450 mm) torpedo tubes — four forward, and one on each beam. She was also fitted with an arrangement for discharging depth charges or mines. Royal Australian Navy: HMAS J1. Depth: 31 to 38 m.
Completed Nov 1915 at Portsmouth Dock Yard as the HMS J2. At the completion of the first World War in 1919, the British Government gave Australia a gift of six J class submarines and six navy destroyers, thus she became the HMAS J2. All of the submarines were eventually scuttled. The J2 Submarine was scuttled by explosives on 1 June 1926 about three miles off Barwon Heads. She was found again by the Geelong Skindivers Club on 10 February 1974. Also known as the J2 Sub, 39 Metre Sub, 130 Foot Broken Sub, Broken Sub or Deep Sub, the wreck lies on its keel running North-South with its bow pointing out to sea. During its scuttling the bow section broke off, exposing the forward torpedoes tubes and bow modifications. The J2 Submarine is probably the most infrequently dived of the four J class submarines. It is the deepest, and it is also the closest to the Heads. It can therefore be uncomfortably close to the path taken by ships entering and leaving Port Phillip Bay. Boat operators must be aware of the shipping traffic during the dive period. During the Broken Sub's scuttling, explosive charges caused the vessel to break in two sections. The break occurs about 5 metres behind the conning tower. The front half lists to starboard at a 45-degree angle. Over the years the stern has worn down through the reef the wreck sits on. The wreck is in 39 metres (128 feet) and is surrounded by many schools of fish. These along with the extensive marine growth covering the hull make this an interesting dive for photographers as well as wreck enthusiasts. Being such a deep dive, it is recommend that divers spend the last few minutes of their limited bottom time at a slightly shallower depth around the conning tower before beginning the final ascent. This area is usually inhabited by large numbers of fish, so there is plenty to look at before returning to the surface. The Broken Sub is a marvelous venue for the experienced diver. Obviously more than one dive is required to fully explore it. With good visibility it is an outstanding dive. The 39 metres (128 feet) depth calls for experience and training, correct equipment and very careful planning. Begin your ascent with plenty of air remaining for the inevitable decompression stops. Even at this depth surge can be a problem, especially when penetrating inside the wreck. If surge is present remain on the outside. If you just swim over the wreck from stern to bow most of the dive will be spent in 33 metres (108 feet). Penetration into the wreck is possible, at the point where the ship has been broken, but the need for extreme caution cannot be overemphasised. 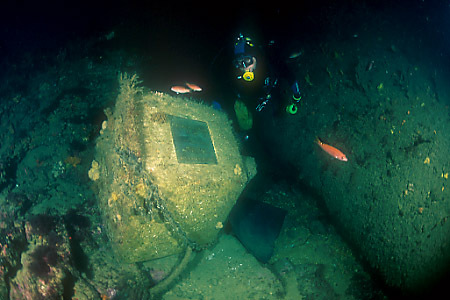 At 36 metres (118 feet) near the conning tower is a plaque in memory of a diver that died while penetrating the wreck. In addition to the normal dangers involved in penetration diving at this depth, the Broken Submarine has the additional hazard of extensive jagged and twisted metal around the break. Once inside the wreck, it can become very dark, so good torches are essential. Silting can occur very easily. Care must be taken to avoid stirring up silt on the bottom, thus further reducing visibility. Built in 1915 and scuttled on 1 June 1926, the overall length of the vessel was approximately 83.7 metres (275 feet), beam 7.2 metres (24 feet) and draught 4.3 metres (14 feet) giving a displacement weight of 1,092 tonne (1,204 short tons) surfaced. 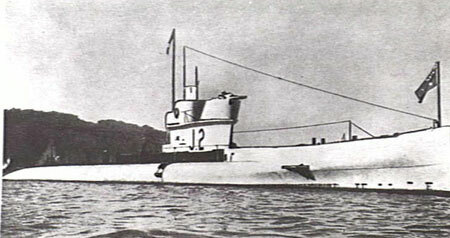 Heritage Council Victoria: J-2 Submarine. Depth: 31 to 39 m.
The J4 Submarine (aka Shallow, 26 metre, 27 metre and 90 Foot Broken sub) is part of our very own piece of WWI maritime history and an exciting and awe inspiring playground for divers and freedivers. The wreck of the J4 Submarine is located in the ship graveyard, Bass Strait. It lies on its keel running North-South with its bow pointing out to sea on a rocky seabed. The stern of the J4 submarine almost merges into the surrounding reef. (See also Sub Reef.) During its scuttling the bow section broke off, exposing the forward torpedoes tubes and bow modifications. This makes the torpedo tubes easily accessible to scuba divers without penetration. The conning tower is intact and in excellent condition. Scuba divers and freedivers can penetrate the submarine through the numerous hatch openings. Such penetration should not be taken lightly, as being shallower than the other subs, this wreck is particularly susceptible to surge. 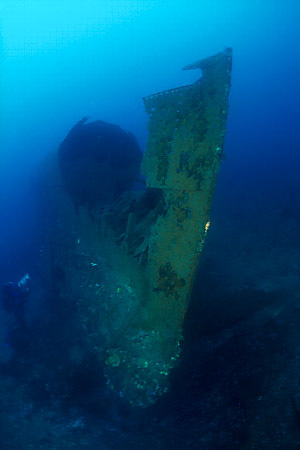 Unwary divers can be literally sucked in and catapulted through the wreck's interior. However, the surge prevents any silting, and under suitable conditions this makes for one of Melbourne's top dives. J4 Submarine Wreck from Alan Beckhurst on Vimeo. Once inside, divers can see the bulkheads, which supported the submarine against pressure at great depths. Although the engine has been removed, the engine bed can still be seen at the stern. The broken bow section of the submarine contains four torpedo tubes, which can be easily seen by using a torch and positioning yourself between the bow and the main body. A bronze plaque has been placed on the conning tower by the Melbourne Bottom Scratches Dive Club who rediscovered the submarine in 1982. As with the other Subs, the J4 sub is host to a variety of plant and animal life. Good conditions for photography are often found near the conning tower, which is usually surrounded by many fish. The J4 submarine is an excellent dive for Advanced Open Water divers. As this is a penetration dive, divers should be experienced, plus appropriately qualified and equipped. Some experienced freedivers have been known to descend down and through the J4 submarine. Originally HMS J4, later HMAS J4, this is one of the J class submarines designed and built during WW1 by the British Royal Navy. HMS J4 was commissioned in the Royal Navy on 17 July 1916. The wartime complement was 5 officers and 40 sailors. At the completion of the first World War in 1919, the British Government gave Australia a gift of the remaining six J class submarines, plus six navy destroyers. All the submarines were commissioned into the Royal Australian Navy at Portsmouth on 25 March 1919. Having arrived in Sydney, Australia on 15 July 1919 in poor condition, the J-class submarines were taken in hand at Garden Island Dockyard for refitting. 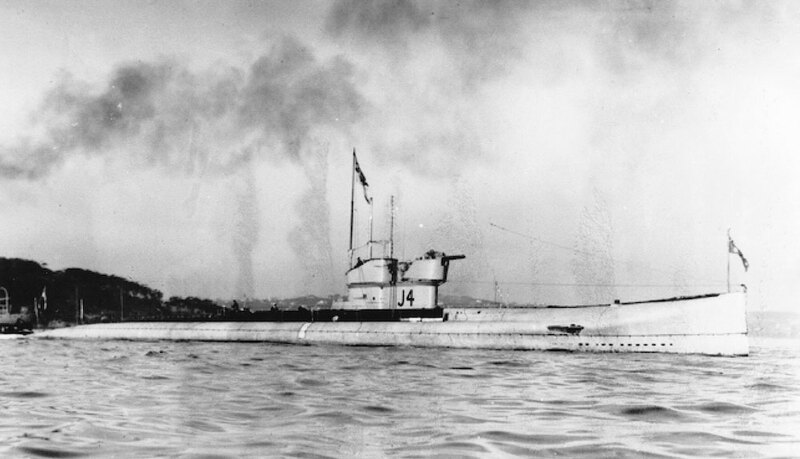 After her refit was completed J4, in company with J1 and HMAS Platypus, sailed on 16 February 1920 for the submarine base at Geelong, Victoria. After uneventful service in Australia, little of which was spent at sea, J4 and her five sisters were paid off into Reserve at Westernport on 12 July 1922. The boats had become victims of the worsening economic conditions of the time, coupled with their high cost of maintenance. On 26 February 1924 J4 was sold to the Melbourne Salvage Syndicate. On 10 July 1924 she sank at Williamstown Dockyard wharf but was later raised and scuttled by explosives on 28 April 1927 outside Port Phillip Heads. Built in 1915/1916 at Portsmouth Naval Dockyard, England, launched on 2 February 1916 as a double hulled type, triple screw submarine. The overall length of the vessel was approximately 83.7 metres (275 feet), beam 7.2 metres (24 feet) and draught 4.3 metres (14 feet) giving a displacement weight of 1,092 tonne (1,204 short tons) surfaced. The J4 submarine was armed with one 4-inch deck gun, plus six 18 inch (450 mm) torpedo tubes — four forward, and one on each beam. She was also fitted with an arrangement for discharging depth charges or mines. For more information see the J4 Submarine page on the Heritage Victoria web site, or download/view the J4 Submarine Dive Information Sheet (Adobe PDF | 564.76 KB). Royal Australian Navy: HMAS J4. Depth: 19 to 28 m.
Originally HMS J1, later HMAS J1, this is one of the J class submarines designed and built during WW1 by the British Royal Navy. The J5 Submarine was sold to the Melbourne Salvage Company on 26 February 1924, and she was scuttled off Port Phillip Heads on the 4 June 1926. Popularly known as the 36 Metre Sub, the 120 Foot Sub, the Yellow Submarine due to its covering in part by yellow zoanthids, or the Intact Sub. She sits upright on a sandy bottom. Penetration is possible at several points, where, apparently, plates were removed prior to scuttling. She lies facing North South (bow South) in 36 metres of water, her conning tower rising to 30 metres. Built in 1915/1916 and scuttled on 1 June 1926, the overall length of the vessel was approximately 83.7 metres (275 feet), beam 7.2 metres (24 feet) and draught 4.7 metres (15 feet) giving a displacement weight of 1,092 tonne (1,204 short tons) surfaced. The J5 Submarine was relocated by the Geelong Skindivers Club on 4 May 1974. 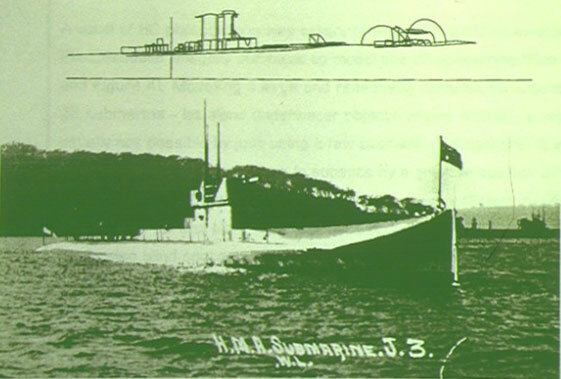 Heritage Council Victoria: J-5 Submarine. Depth: 25 to 36 m.
If you intend to go scuba diving and/or boating in Bass Strait you must be appropriately trained and qualified. Always analyse the weather forecasts and make your own mind up about what you consider to be safe conditions. We accept no responsibility or liability for the accidental or intentional misuse of information portrayed, or misadventure resulting from its use. A weather change is due which may cause any of the above conditions to occur. 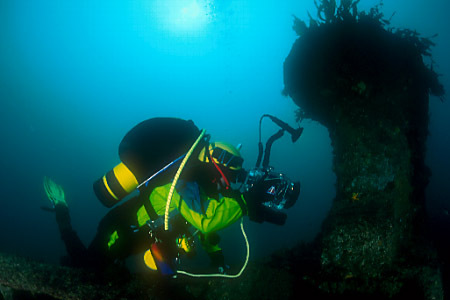 Scuba diving is an inherently dangerous activity and appropriate training and experience in scuba equipment, decompression diving, deep diving, mixed gas diving and wreck penetration diving are all mandatory skills for safely diving the wrecks of Bass Strait. The closer I get to the bottom, the further I am from idiots.